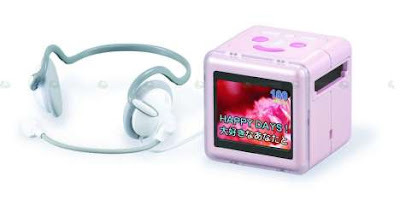 For karaoke lovers, you are in luck, Japanese inventors have developed Hi-Kara, a tiny portable karaoke system that you can carry anywhere with you. 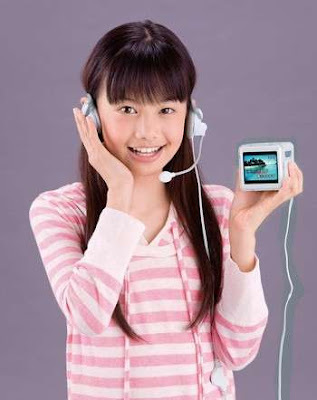 Being hailed as the world’s smallest karaoke cube, Hi-Kara measures 70x70x70mm and features a 2.4” LCD screen which displays lyrics. It also comes with a headset that can be shared between two people. The only drawback is that you can’t upload any format you want. You have to visit the Hi-Kara website and download songs onto a proprietary cartridge. Guess its their way of milking money from their customers. Cant see why mobile operators and manufacturers in China cant jump onto this business idea afterall karaoke is a big business in China. I m sure the mobile phones can be karaoke-enabled easily and songs to be downloaded straight into the mobile over the air or even sideload it from the PC.